Nitish Kumar said that except for 1-2 states, the value-added tax (VAT) of Rs 26 a litre on petrol and Rs 19 a litre on diesel are the lowest in the country in Bihar. 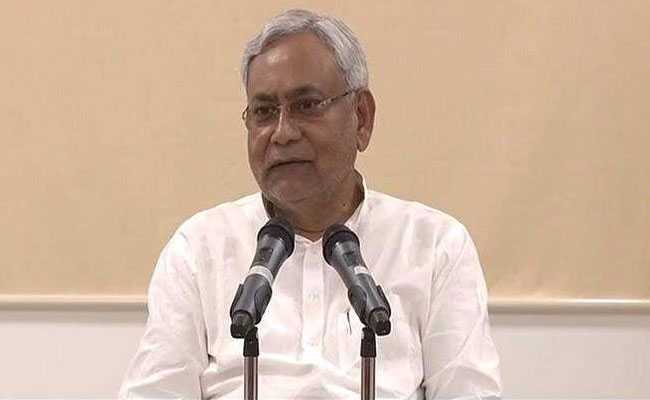 Patna: Bihar will appeal to the Centre to lower the 'base price' of petrol and diesel which stands at Rs 55 a litre in the state, higher than that in neighbouring states, Chief Minister Nitish Kumar said today. "While base price of petrol and diesel in Bihar stands at Rs 55 a litre, the same is Rs 51 a litre in Jharkhand. We will make a strong plea to the Union Petroleum Ministry to lower this base price," Mr Kumar told reporters. By base price, Mr Kumar was referring to the price at which petrol and diesel is made available to the state by the Centre. The chief minister further said that except for 1-2 states, the value-added tax (VAT) of Rs 26 a litre on petrol and Rs 19 a litre on diesel are the lowest in the country in Bihar. "After lowering of the base price, when GST would be extended to petrol and diesel, its price could be re-calculated in Bihar," he said. He also said that he held "fruitful" talks with the Union Petroleum and Skill Development Minister Dharmendra Pradhan last week on gas pipeline projects and also on ways to work together in the field of skill development. Flanked by Deputy Chief Minister Sushil Kumar Modi, the chief minister said the state would lower its demand for kerosene to gain additional economic assistance from the Centre. "With successful implementation of electricity connection in every household by end of this year, the demand for kerosene oil would go down in Bihar. We will cut down demand for kerosene to gain additional economic assistance as laid down in the Petroleum Ministry's rules," he added. Mr Kumar and Mr Pradhan on Friday discussed on "Prime Minister Urja Ganga yojna" under which LPG will be supplied through pipeline. The two also deliberated on expansion of Barauni Refinery. They also discussd setting up a petrochemical unit and a modern fertiliser unit at Barauni.